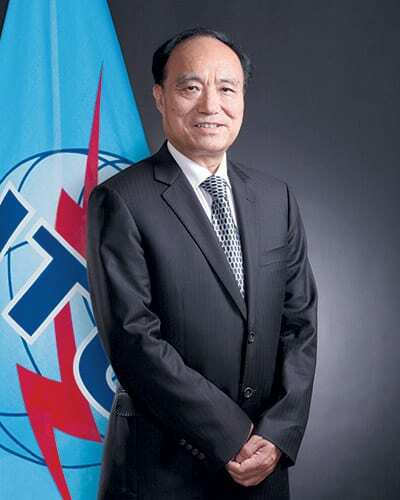 For this issue, ITU Secretary-General Houlin Zhao speaks about overcoming the challenges of the digital revolution, essential conditions for the creation of the information society, the development of the concept of smart cities, internet accessibility worldwide and the new goals of the International Telecommunication Union. The digital revolution is changing the world fundamentally, bringing incalculable benefits to countries, but also an array of challenges. How important is regional and global cooperation to overcoming those challenges? – New technologies – from the Internet of Things to artificial intelligence to 5G – hold great potential for human progress. They are already enabling innovations in areas such as health, financial services, energy, transport and smart cities and communities. In fact, they will be essential for the realisation of every single one of the United Nations Sustainable Development Goals (SDGs). And the ITU, the United Nations specialised agency for information and communication technologies (ICTs), is at the forefront of this digital revolution. However, only by working together – across industries and across borders – will we bring the power of ICTs to all nations, all people and all segments of society. With the ITU’s large and diverse private sector membership and our academia members, I am confident that we will be successful in unlocking the full potential of ICTs to achieve the SDGs. The ITU Plenipotentiary Conference 2018 (PP-18) in Dubai included the definition of the key directions of the activities of the ITU until 2023. Could you tell us more about this, as well as the ITU’s future role in achieving the United Nations Sustainable Development Goals (SDGs)? 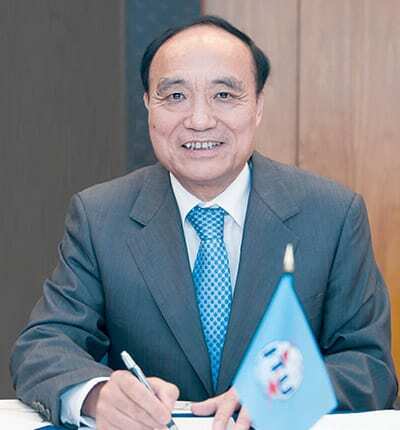 – The ITU Member States adopted new targets to be achieved by 2023 in five strategic areas: growth; inclusiveness; sustainability; innovation; and partnership. The new plan also outlines how the ITU will contribute to worldwide efforts to achieve the SDGs. 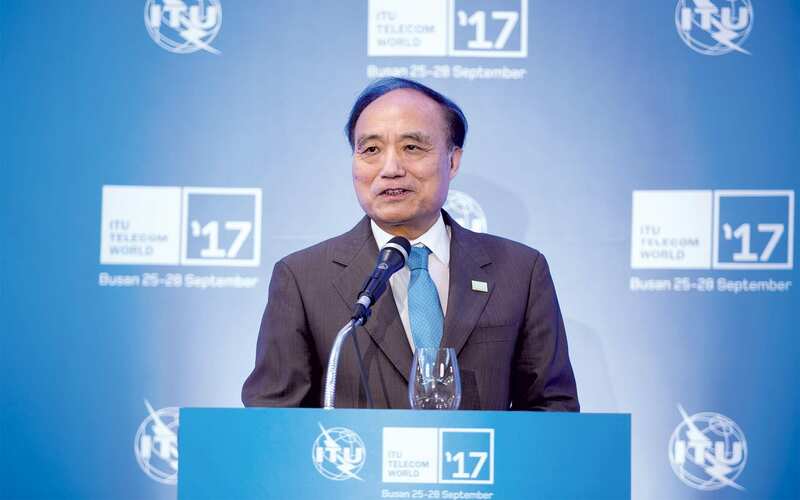 ITU Member States at PP-18 reaffirmed a shared global vision of an information society, empowered by the interconnected world, where telecommunications/ICTs enable and accelerate social, economic and environmentally sustainable growth and development for everyone. I am certain that the new and revised resolutions adopted at PP-18 will help foster inclusive economic growth, and ensure that ICT can be a source for good for everyone, everywhere. The ITU participates in numerous initiatives related to the development of smart cities. Developed countries are increasingly active in this area, with investments growing year on year. What are your expectations when it comes to smart cities in developing countries? – My expectation is that cities in developing countries will take steps to use ICTs to achieve SDG 11 — to “make cities and human settlements inclusive, safe, resilient and sustainable” by 2030. Rapid urbanisation has created challenges such as air and water pollution, overcrowding, social inequality and traffic congestion, but new technologies, and the widespread use of mobile phones in cities in developing countries, give us an opportunity to address these challenges. The ICT infrastructure of a smart city must ensure openness and interoperability, and this can only be effective with common standards. The ITU recently developed standards ensuring the security of networks in urban areas. Our standards outline how smart grids can help build more controllable and efficient energy systems. We encourage innovations to be integrated into standards. And the ITU’s work on standards for 5G systems, which will help make smart sustainable cities a reality, is also underway. The transition to Smart Sustainable Cities, however, will call for extensive collaboration, drawing on a wide range of expertise from policymakers, regulators, mobile operators, manufacturers, small and medium enterprises (SMEs), academics and technical experts from all over the world. Is the worldwide availability of the internet growing at a fast enough pace? How many of the planet’s inhabitants still lack access? – For the first time in history, more than half of the world’s population is now using the internet. The challenge ahead of us is to bring the other half online, especially in the Least Developed Countries, so that everyone can benefit from ICTs in terms of social and economic progress. This is not happening fast enough, and we must do more to address the digital divide. Consider that in the world’s 47 least-developed countries (LDCs), four out of five individuals are not yet using the internet. Solving this issue is difficult, however. Many of those still offline live in rural, remote communities where connectivity is difficult, often because of the terrain, but also because the return on investment in those areas is often poorer than in urban areas. Also, many of those still offline lack basic digital skills or internet services are not affordable, or the content online is not locally relevant or available in local languages. We need to work together and adopt an inclusive approach – between the public and private sectors, and across industries, if we want to address the digital divide. The ITU assists countries in building the necessary infrastructure for connectivity, and in developing the policies, legislation, regulations and business practises to promote affordable and relevant internet services and content. 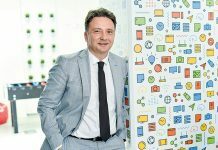 The Serbian Government’s Office for Information Technology and eGovernment was awarded at last year’s World Summit on the Information Society, which included the ITU among its organisers, in the category of “creating a good environment for the development of the information society”. What is crucial when it comes to continuing in this positive direction? 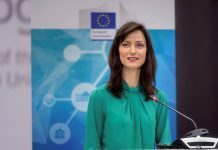 – I congratulate Serbia on this achievement and am confident the country will continue on its path to creating a good environment for the development of the information society. To continue in a positive direction, normally countries need to consider what I call the ‘4 Is’: infrastructure, investment, innovation and inclusiveness. All countries have to extend infrastructure to those areas not enjoying these ICT services yet, but we also have to upgrade to the current infrastructure, with new technologies such as 5G. Investment is also quite important because people want services at affordable prices, and the industry may need to upgrade their systems. To attract investment, countries must nurture a good regulatory environment for that investment. The third ‘I’ is innovation. We cannot just continue doing business the same way we did in the past. We must have innovative ways to do business. Entrepreneurs are a rich source of innovation. Particularly in today’s environment, young people know technologies; they know the market; they know the challenges. So they can have a lot of marvellous, innovative ideas to help us extend the newer technology with local solutions to connect local communities. The ITU and its members should work hard to mobilise innovations from both major companies and SMEs, as well as from other social associations while looking for new ways to do business. The last ‘I’ is inclusiveness. Hopefully, countries are working hard to ensure they don’t leave anybody behind. This includes working with groups like handicapped people, elderly people, children, and those who live in remote areas, who have difficulty getting connected. The ITU is among the largest and oldest global organisations. What were the greatest milestone moments in its more than 150-year history? How much have the activities of the ITU changed until today? – The ITU is the oldest international organisation in the United Nations system. Since our first milestone – the 1865 International Telegraph Convention, and the founding of the International Telegraph Union – ICTs have changed beyond all recognition from stand-alone telegraphs, to today’s ’smart’ communications that are embedded, often imperceptibly, in the environment around us. Standardisation has been integral to the ITU since the very beginning and was indeed part of the raison d’être for establishing the ITU in 1865 when representatives of twenty European States first met in Paris to coordinate and set standards for the telegraph systems of Europe. In their simplest form, agreed standards represent a common way of doing things and can help ensure interoperability. They may also set a benchmark for quality and common knowledge, as well as a set of market norms, and/or expectations of service. This has remained the same even during the enormous technological change. The development of radio communications – including broadcasting; TV transmissions; satellite communications; and mobile communications, such as 2G, 3G, 4G and 5G – has seen constant technological breakthroughs throughout its history. Another milestone is when the ITU formally joined the United Nations as a specialised agency in 1949. ITU coordinated actions in recent years have been key to enabling countries to implement their analogue to digital switchover in a timely manner, in allowing the general public to enjoy the benefits of digital broadcasting. More recently, developments like the push to broadband and the use of software-defined and cognitive radio systems are redefining the radiocommunications landscape. Private and state entities will continue working in partnership at the ITU, in the culturally innovative environment that they have successfully created together over a period of a century and a half. What will be in the focus of this year’s AI for Good Global Summit, to be held in May? – The AI for Good Global Summit is the leading United Nations platform for global and inclusive dialogue on Artificial Intelligence. The Summit is hosted each year in Geneva by the ITU, in partnership with UN Sister agencies, XPRIZE Foundation and ACM. It brings together leading minds in AI, business, government, civil society and international cooperation. This year’s focus is on how AI can accelerate progress towards the SDGs. Participants will discuss how to ensure trusted, safe and inclusive development of AI technologies, and equitable access to their benefits. To what extent is gender inequality present in the ICT sector today? How does the ITU advocate for progress on this front? – The gender digital divide persists in nearly every region of the world, and the ITU works to close this gender gap. The ITU works for gender equality in ICTs through events, training and with partners. We promote skills, access and leadership opportunities for women in the ICT sector through the EQUALS Global Partnership. We will next month lead global celebrations for International Girls in ICT Day on 25th April. We encourage governments, private sector institutions, schools and partners to get involved and to host their own events to inspire girls to discover the exciting world of ICTs. I believe that it is only by working together that we can ensure men and women equal access to the technologies that will enrich their lives. Šabac Tabl@a Heading to the U.S.A.
Aleksandar Vratonjić Gligorijević, Director of Telegroup Innovation, Telegroup Ltd.